Auroch Minerals (ASX:AOU) has informed the market that its four-hole, phase 1 diamond drilling program is underway at its Tisova Cobalt-Copper-Gold project. The Phase 1 program, which commenced on September 15, will total 1,500m and is expected to take 6-7 weeks. 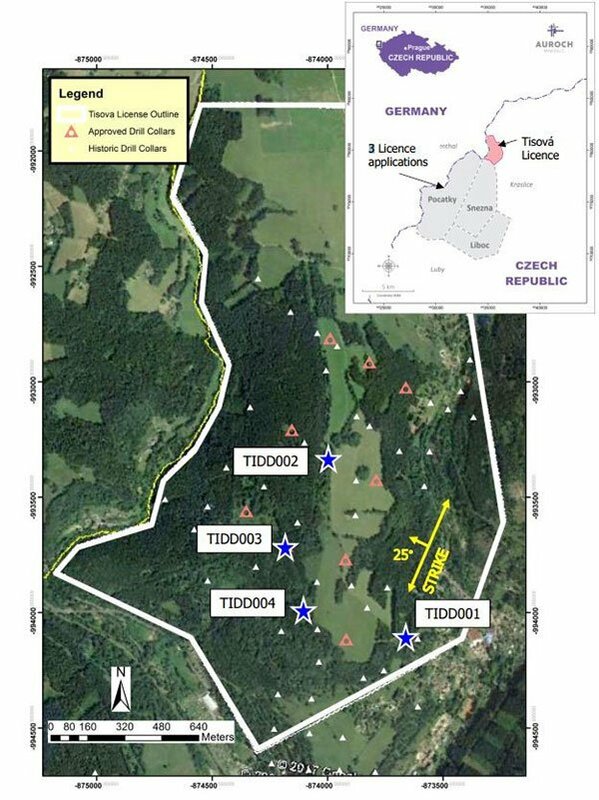 The company holds a nine-month option to acquire 100% of the Tisova project, located in the Czech Republic. The 4 holes are based on previous work at the site, with results to be cut and sampled onsite before being sent to ALS in Romania for assaying. The first hole (TIDD002) (seen on the map below) has a final planned depth of ~500m, with a thick sulphide-rich portion of orebody mineralisation estimated to be at between 250-460m. Each hole was designed using an intricate 3D model to intersect sulphide rich orebody underground, which identified over 30km of potential underground development. “The ore body is clearly significant in its potential and we look forward to drilling and assay results over the coming few months,” Auroch CEO Andrew Tunks said. It should be noted here that AOU is an early stage play and investors should seek professional financial advice if considering this stock for their portfolio. Recent sampling performed by Auroch onsite has confirmed the presence of valuable metals, with best sampling results from Tisova returning 0.69% Cobalt, 17.1% Copper, 3.7 ppm Gold and 178 ppm Silver. 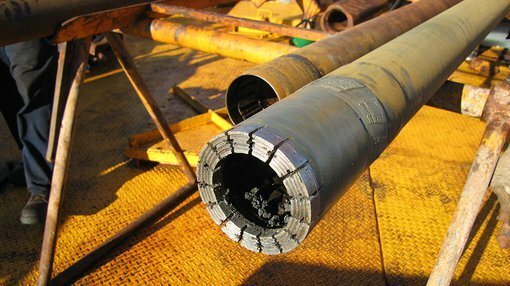 The region surrounding the project has a long history of copper production, with infrastructure, including the 400m Helena Shaft, already in place. Auroch also owns 75% of the Alcoutim Copper Zinc project in Eastern Portugal. Located in one of the world’s most prominent mining districts – the Iberian Pyrite Belt – the region plays host to over 80 known deposits containing resources which exceed 1.7 million tonnes.